Genuine Fender 3 saddle vintage style bridge plate. 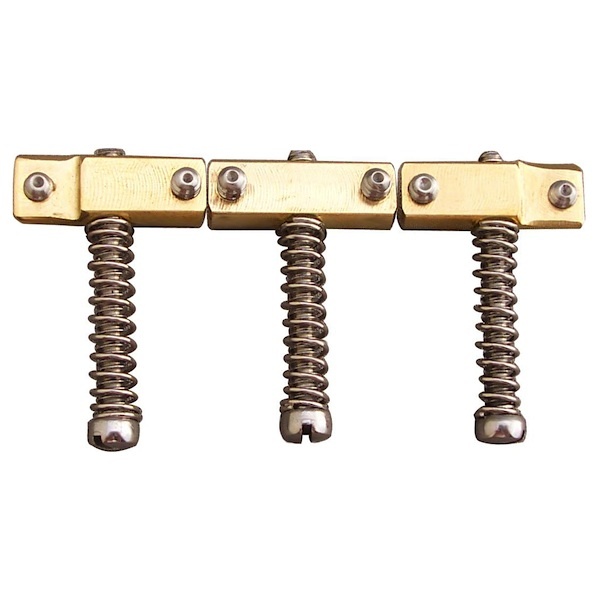 Genuine Fender Telecaster bridge plate mounting screws. Nickel plated. Set of 4. 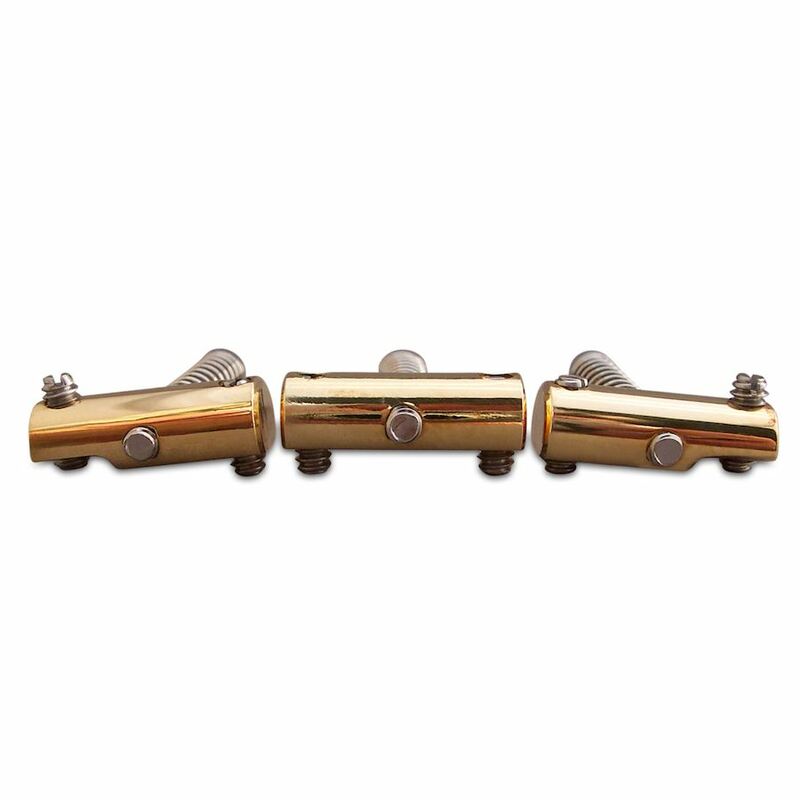 High polished brass saddles are slanted for correct intonation. These saddles offer maximum room for the string to go across the saddle without coming in contact with the height adjustment screw hole. Milled bottom. Allen wrench included. These saddles offer the same superior quality as our Callaham brass saddles, but in 416 stainless steel for a brighter tone. Milled bottom. Allen wrench included. Machined from billet stock, these Callaham Enhanced Vintage saddles maintain the vintage look while eliminating the problem of the string moving on the saddle and altering string spacing. Just like Callaham's original saddles these enhanced bridge saddles will give perfect intonation. All Callaham saddles are hand polished and buffed to insure they are free of burrs that can cut strings. Allen wrench included. Machined from billet stock, the Callaham Enhanced Vintage saddles maintain the vintage look while eliminating the problem of the string moving on the saddle and altering string spacing. These stainless steel saddles are recommended for players using string benders. Just like the original Callaham saddles, these saddles give you perfect intonation. All Callaham saddles are hand polished and buffed to insure they are free of burrs that can cut strings. Allen wrench included. Callaham's high quality enhanced brass saddles for Telecaster®, with string guides cut for Bigsby use. The intonation screw is slotted in front to allow for easy intonation adjustment. Be sure to relax the string tension before adjusting the intonation. 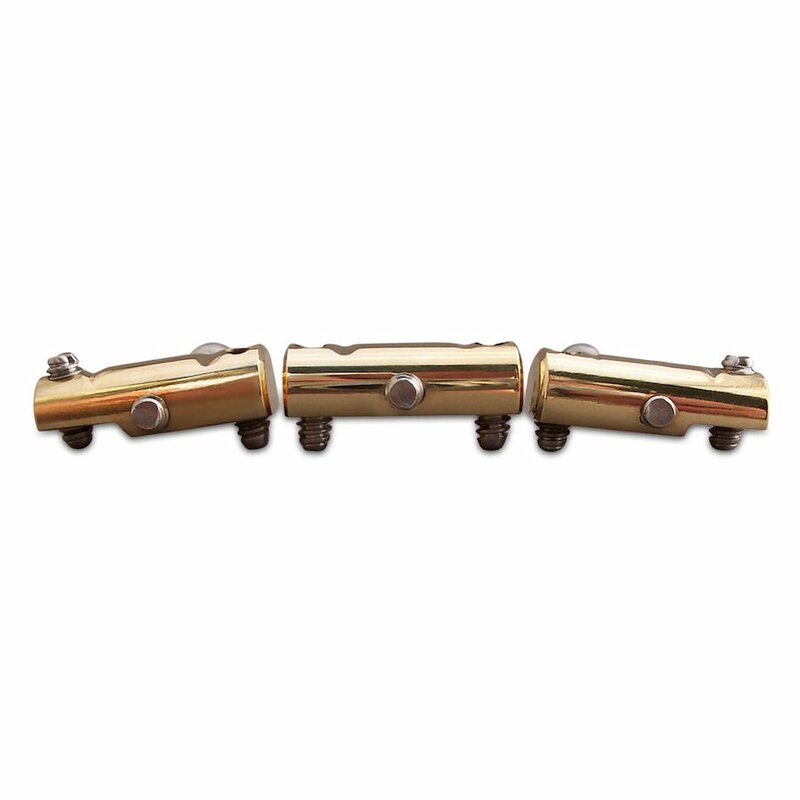 These saddles will fit any vintage-style Tele® bridge. Allen wrench included. Callaham's enhanced saddles for Telecaster® in stainless steel, with string guides cut for Bigsby use. The intonation screw is slotted in front to allow for easy intonation adjustment. Be sure to relax the string tension before adjusting the intonation. These saddles will fit any vintage-style Tele® bridge. Allen wrench included. Compensated nickel-plated cold rolled steel, machined to original Broadcaster® specifications. Individual, discrete grooves provide for correct intonation and eliminate "string wandering" while maintaining the vintage straight look. Nickel-plated steel slotted height adjustment screws with the correct angle. Nickel-plated cold rolled steel, machined to original Broadcaster® specifications. Non-compensated for vintage look and vintage-style intonation. 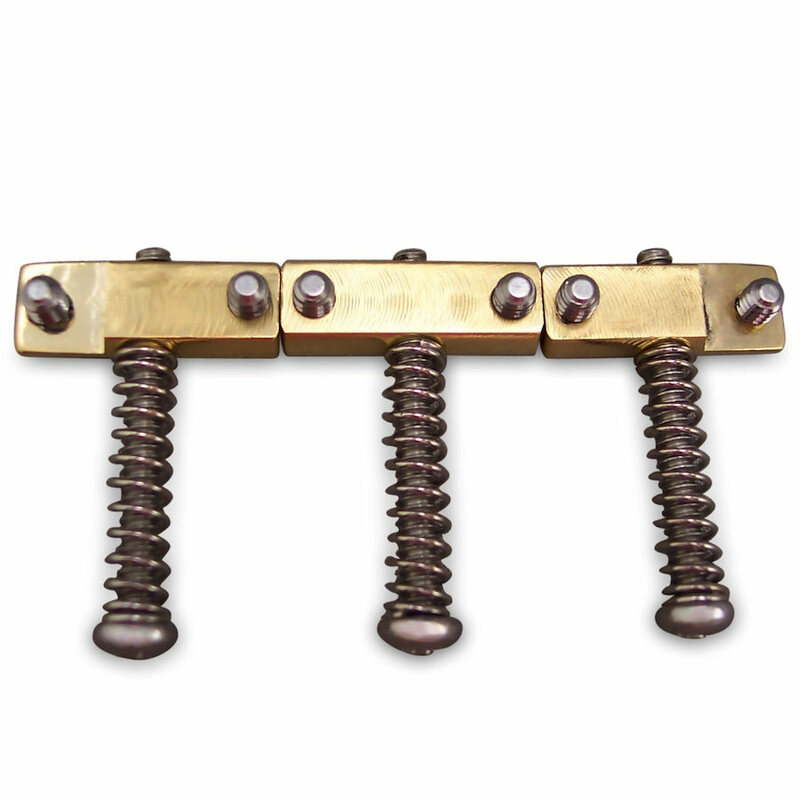 Nickel-plated steel slotted set screws with the correct angle. Made in USA. Individual discrete grooves to get that intonation right while retaining the vintage straight look. No string wandering. Precision cut to vintage string spacing. Allen wrench included. Brass saddles machined to the original 1953 Telecaster® specifications, with step notches under the E strings. Non-compensated for vintage look and vintage-style intonation. Nickel-plated steel slotted height adjustment screws with the correct angle. Exclusive to Specialty Guitars. Made in USA. Compensated brass saddles machined to the original 1953 Telecaster® specifications, with step notches under the E strings. Individual, discrete grooves provide for correct intonation and eliminate "string wandering" while maintaining the vintage straight look. Nickel-plated steel slotted height adjustment screws with the correct angle. Low carbon cold roll steel 1/4” nickel-plated Telecaster® saddles, machined to original 1950s specifications. Round head steel Phillips adjusting screws and springs and steel slotted set screws at the correct angle.